Marijuana contains a chemical — delta-9-tetrahydrocannabinol, or THC for short — that goes to the parts of the brain controlling memory, concentration and movement. The popular image of a “stoner” is no myth. They really do have trouble solving problems, perceiving what’s going on around them and learning. 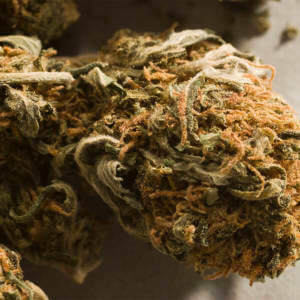 Worse, the effects of being high on marijuana can last days or weeks after it’s smoked. They may not even realize how dim their wits have become over time. The health hazards aren’t funny either.Chronic cough, bronchitis, emphysema, cancer, decrease in testosterone and sperm counts for men and an increase in testosterone and infertility for women are among the risks for long-time marijuana smokers. It contains 50 to 70 percent more carcinogenic hydrocarbons than tobacco smoke. It’s possible to become addicted to marijuana, and the psychological harm can include paranoia and anxiety. An article published in the American Journal of Public Health discussed the opportunity of states that have legalized recreational marijuana use for shaping public health policy related to adolescents. Because of the vulnerability of adolescents to marijuana’s harmful effects on brain and behavioral development, as well as academic and social functioning, the expansion of these laws in the US should be of national health concern.